Robert M. Velasquez is an associate attorney with the firm of Roseman Law, APC. Prior to joining our firm, Mr. Velasquez worked for a tax resolution company where he negotiated the resolution of tax issues with the Internal Revenue Service and state tax entities on behalf of individuals and businesses. Prior to that, he has worked in the areas of workers’ compensation defense, employment law litigation, and counseling for employers. Mr. Velasquez has experience drafting legal motions and briefs, as well as various types of contracts. He has also assisted businesses with the formation of business associations such as LLCs. Prior to practicing law, Mr. Velasquez had over a decade of experience working in companies ranging from small family owned, to large multi-national corporations. During that time, his focus was mainly in accounting, successfully performing a wide variety of functions within that sphere. 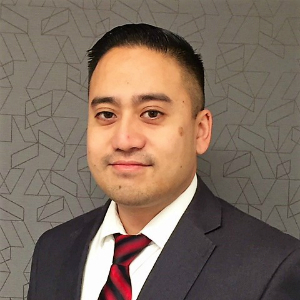 Mr. Velasquez graduated from the University of California at Irvine with a Bachelor’s Degree in Political Science, making multiple appearances on the Dean’s list. He earned his Juris Doctor with a concentration in corporate law from Loyola Law School in Los Angeles, where he was a member of the Business Law Society, and participated on the Loyola Law School Transactional Negotiation Team and Loyola’s International Commercial Arbitration Moot.